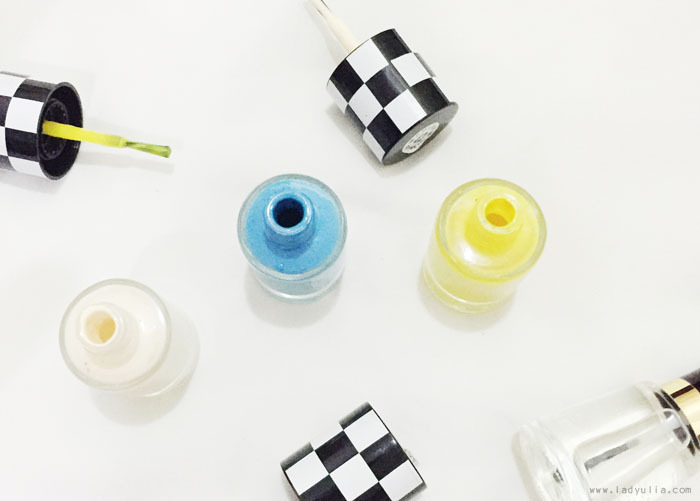 Nail art brush ( in case you don't have it, cut a little bit your old nail polish brush). Apply base coat n your nails to moistures, strengthen, and keep your nails from turning into yellow color. Wait until dry. Apply the blue polish on your nail. Dry it. 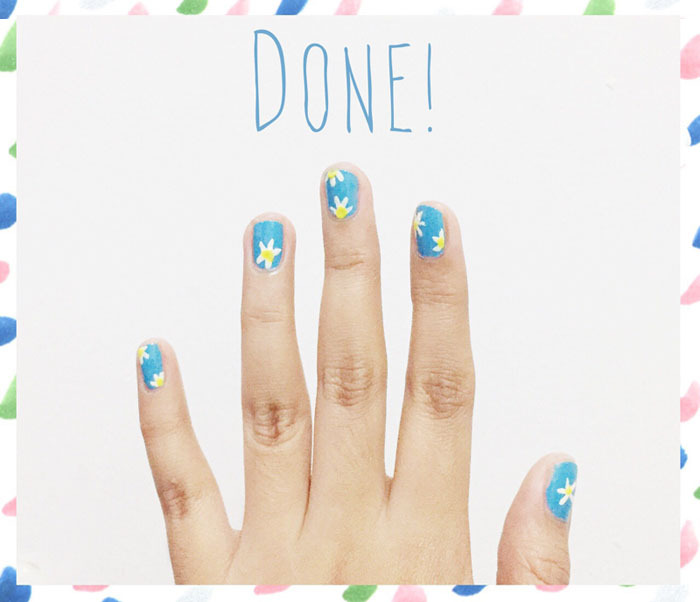 Make the petals of daisy flower with white polish. Wait until the polish drying perfectly. 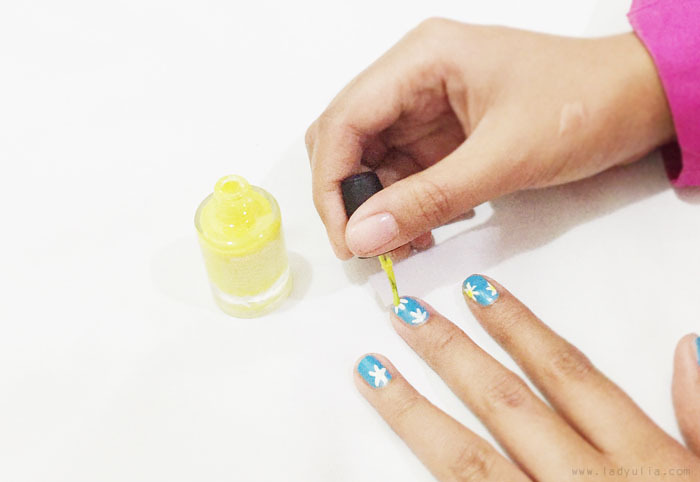 Make a dot in the middle of daisy petal with yellow polish. Apply the top coat after as the finishing touch. Its nice information given above by author. Thanks for the article. . . .!